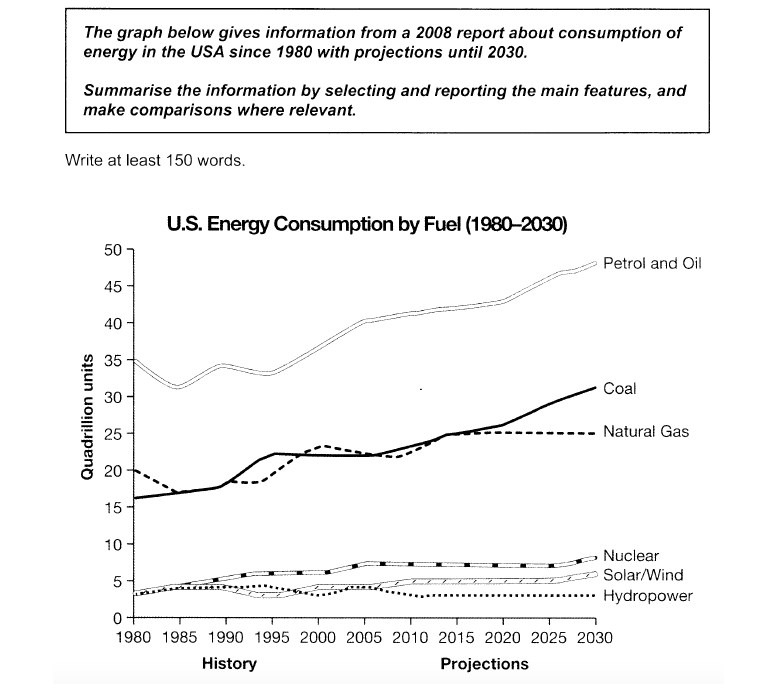 The graph below gives information from a 2008 report about consumption of energy in the USA since 1980 with a projections until 2030. Summarise the information by selecting and reporting the main features, and make comparisons where relevent. This graph chart illustrates the variations of six sorts of energy, namely petrol and oil, coal, natural gas, nuclear, solar/wind and hydropower, which used in America from 1980 and makes a prediction (What is the subject of this? Energy sources cannot make predictions!) until 2030.In general, the consumption of petrol and oil topped the chart from 1980, and it will be remained the largest group in 2030, according to the projection of this graph. The quadrillion units of petrol and oil was 35 from 1980, and after 2005, the consumption was steadily increased steadily. In 2030, the use of fuels will reach 50 quadrillion units. The consumption of coal and natural gas was slightly fluctuated slightly from 1980 to 2010, then which revealed a continuous ascension (not clear) after 2015, while natural gas used to (?) keep the same proportion. The use of nuclear, solar/wind and hydropower was were merely about 4 quadrillion units from 1980. After 1985, the use of nuclear power demonstrated a slightly riese to approximately 7 quadrillion units, it will be projected to remain the same proportion in 2025. From this graph, the consumption of nuclear, solar/wind and hydropower were the least important which with each proportion reported to will be 7,5 and 3 respectively in 2030. You list statistics without comparing and contrasting. (for Task 1) 4.5 You have your paraphrasing and overview highlighting the highest energy consumption throughout the period. Might be worth mentioning half of the energy sources remain steadily low while the other three see an upward trend. Avoid quoting statistics without comparing and contrasting.You want all your information to be analyse to give a connection, otherwise your button-large let points serve no purpose. Coherence & Cohesion 5 There is some organisation. You group your information adequately, however there is not enough linking to present much clearer progression. Avoid repetition: THE USE OF…. Consider using referencing: The consumption of X….., while the figure for Y……..to avoid a repetitive pattern to gain more marks under this category. When key information flows without it seeming like a list, you can gain 6 or above. Lexical Resource 5 Adequate, but somewhat limited vocabulary. Do not rely too much on only VERBS:increase, fluctuate, decrease… to describe the line graph. Vary your vocabulary by using X experienced A STEADY UPWARD TREND. Certain choices of words render your sentences unclear sometimes. Grammatical Range & Accuracy 4.5 You attempt at using more complex structures, however they tend to contain grammatical mistakes. Fortunately, most mistakes do not reduce communication. Pay attention to the PASSIVE FORM. Avoid run-on sentences. You need CONJUCTIONS to link two sentences, otherwise, start a new sentence. Pay attention to what the subject is in a clause. 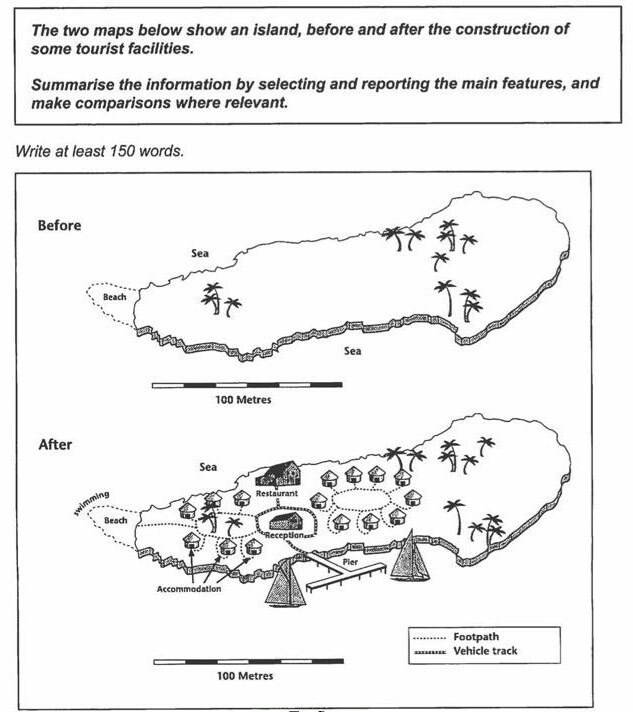 The two diagrams illustrate the development onf the anisland, mainly for the tourism purposes. In general, the changes to this island are characterized by the accessibility and accommodation for visitors, as well as several new roads added for people and vehicle to use. Good overview. The most apparent alteration is the construction of buildings and facilities. In the middle of this island, there is a reception situated in front of a pier where tourists can take boats to come arrive by boat. To the north of the reception is a restaurant, and these two buildings are surrounded by some houses which visitors can settle in. There are also some paths added for travelers to trek. These footpaths are linked to each accommodation and stretch to the west of this island, where a beach stands to offer visitors an area for entertainment of swimming. Besides, a track which encircles the reception and leads to the restaurant and pier makes it more convenient for people to drive on. (for Task 1) 6.5 Very good paraphrasing and overview with appropriately selected information at the beginning of the essay. Key features and bullet points are adequately presented. Other than the developments, the eastern area of the island, which remains unchanged, should also be mentioned to gain higher marks under TASK. You should also mention the fact the two areas of accommodation are located on either side of the reception area. You used SURROUNDED in your essay, but it is not quite the case. Be clear and be precise. Coherence & Cohesion 5.5 Information is listed somewhat robotically. 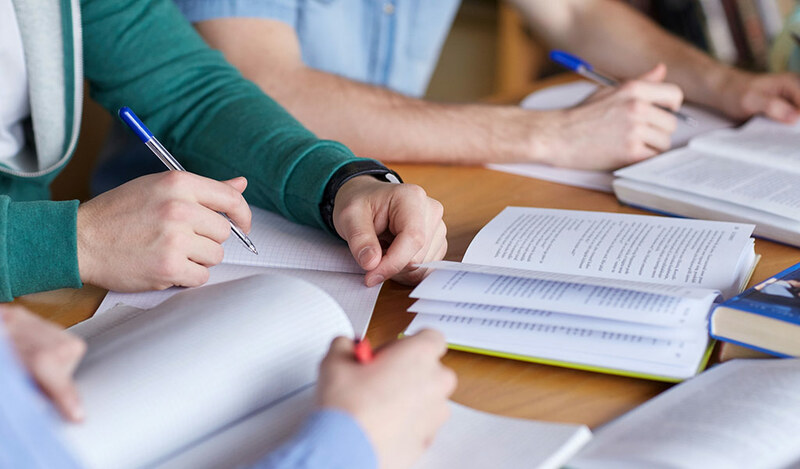 In order to gain more marks under this category, group your information better by mentioning that the accommodation + restaurant are placed in close proximity while leisure facilities are spread out. Avoid making a list of A, B, C, and D without enough linking. You need a clear PROGRESSION. Lexical Resource 6 You use an adequate range of vocabulary with no spelling mistakes for this task. More attention needs to go to less common vocabulary with an awareness of style and natural collocation to gain more marks. There is some repetition: visitors, accommodation. Inaccurate choice of vocabulary also occurred: ENTERTAINMENT. Grammatical Range & Accuracy 6 If it’s the first time you’ve mentioned the topic, use the INDEFINITE ARTICLE to introduce it. You use a mix of simple and complex sentence structures. You need fewer grammatical mistakes to gain higher marks. Having said that, none of your mistakes reduce communication. So keep up the good work! Every year several languages die out. Some people think that this not important because life will be easier if there are fewer languages in the world. To what extent do you agree or disagree with this options? With the extinction of some lesser-used languages, it seems that people have been inclined to speak some specific languages. Would it really make individuals to livein an easier life? This essay will elaborate both of views. Don’t ask questions in academic writing. Indicate your opinion to let me know what’s to come. In the ancient period of time, there were diverse of populations with their unique mother tongues. For instance, there were a lot of aboriginal tribes with using their own native languages in the world. What the merits are to enhance social cohesion since only the same population speaks one unique language. In addition, the diversity of languages use also includes the cultural identities and values. According to some cultural experts and anthropologists, those who speak their native language well are much more respect and appreciate their ancestors.You need a concluding sentence saying the language can help people preserve their cultural heritage. However, with the revolution of transportation and communication, opportunities of interacting with foreigners are rose have risen. One might argue that it will be much more convenient and efficient to contact with others with fewer languages as one can lower save the time to guess the real meaning from a person speaking a different language whom one is talking to.Furthermore, since there are fewer languages spoken, tourists do not need to spend time learning extra native languages when they circumnavigate around the world. As is known to all, there are fewer a few languages have replaced some lesser used ones to become the mainstream language in those countries domestic. Despite the university utilization, I would still prefer to learn other tongue, even they are lesser used, since to understand more different words and sentences sometimes would make me feel more confident myself. You should NOT express this in the conclusion! This needed to be in the main body! What's more, through the learning, I could discover different cultures and broaden my horizon as well. 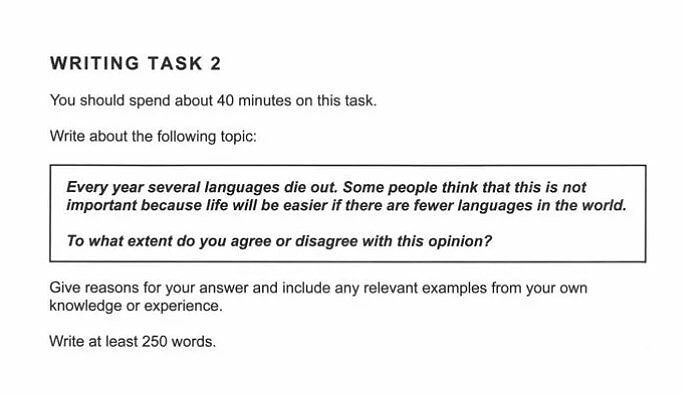 Owing to these reasons, I do not totally agree that if there are fewer languages, we could live in an easier way. (for Task 2) 5 You need to use formal register in academic writing. Asking your readers questions to introduce a topic is too informal. Instead of saying you would look at both sides of argument at the end of your intro, gain more marks by indicating what your opinion is. At the end of each Main Body paragraph, you need a clear concluding sentence. All your opinions/statements should be in the main body. Conclusion is where you sum up everything you have already mentioned. You mustn’t express any new ideas in the conclusion. Coherence & Cohesion 5.5 From your topic sentence to the supporting statements to the concluding sentence, you must let these flow. Do not end a paragraph in the middle of an example. No other major issues under this category. Your paragraphing needs to improve. Lexical Resource 6 You use an adequate range of vocabulary including some idioms (broaden one’s horizon). Keep up the good work.Pay attention to collocations: SOCIAL COHESION. These two words go together. Do not use only COHERSION when you mean social cohesion. Do not add PERIOD OF to In the ancient time. Incorrect use of collocations would lose your marks here. Grammatical Range & Accuracy 5 You use a range of simple and complex sentence structures, however, the latter tend to contain grammatical mistakes. Run the sentences through in your head first before you write them down. Pay attention to your ARTILES: a, an, the, and there are times when you do not need an article. Mind your singular/plural nouns as well. 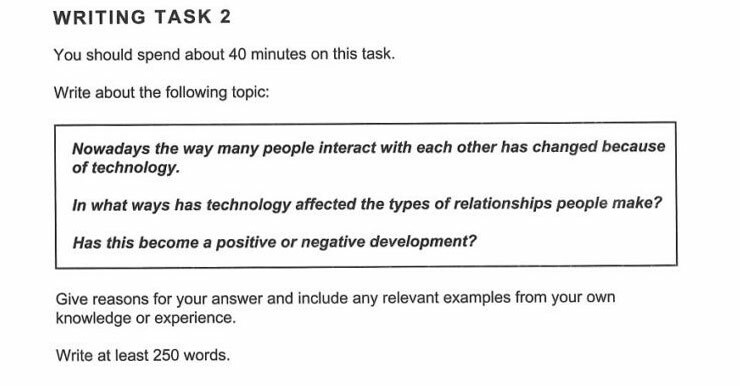 In what ways has technology affected the types of relationships people make? Has this become a positive or negative development? In the modern society, high-developedadvanced technology has a huge impact on how people contact and interact with others. Although technology does bring us some benefits and cause positive changes, drawbacks still exist indicate in it what the drawbacks are. There is no denying that technology provides us with convenience. People can easily talk to their friends by just picking up the phone or typing a few words on the little mobile screen, without the concern of distance between them or how hard it is to meet each other in person due to their busy schedules business. The advent of the Internet also gives us more opportunity to make friends with new unknown people beyond the border of countries through social media or some dating applications. The development of technology achieves something incredible which could not have been cannot be imagined in the old days. Nonetheless, advanced technology doesn't always affect people in a positive manner. Too many means of connection with friends sometimes make people become careless to maintain their friendship or pay less attention to keeping a nice relationship. The further consequence is that people tend to find more new, quick and easy relationships rather than repairing the old ones when they have some problems with their friends. What's more, without the face-to-face interaction, it is hard to tell whether the people we know on the website are is good or not. Too vague. What do you mean? In conclusion, while we take benefit from the advantages of technology, have the awareness of the underlying risks when using it and we must do not let the development of the technology change our behavior or forget how to cherish a sincere relationship. (for Task 2) 6 You address all parts of the task adequately by discussing both the pros and cons of the topic. However, you did not offer a solution how to strike a balance. At the end of your introduction, you focus on the drawbacks. That makes your readers think you are going to develop your argument based on that. Later, you talk about the convenience followed by the negative impact without really drawing a meaningful conclusion. Coherence & Cohesion 6 There is a clear overall progression in your essay. Your ideas and examples are linked effectively. The end of your 3rd paragraph should be clearer. It should link to a concluding sentence about trusting people. A clear concluding sentence for each main body paragraph will earn you 7 or above under this category. Lexical Resource 6 Adequate vocabulary. Avoid using vague adjectives like GOOD/BAD in academic writing if you do not elaborate on this. Overall good collocations, but you need all your words and phrases to work better together. Read more in English in order to produce natural collocations. Do not form words and ideas in Chinese first before you try and translate them into English. Grammatical Range & Accuracy 6 Adequate use of a mix of simple as well as more complex sentence structures. You need tobe careful with your verb tenses and your singular/plural forms and the verbs that agree with the forms. None of your grammatical errors affect the meaning you try to convey. Keep up the good work and reduce such mistakes to gain a higher score.